Immediately after Liam Mellows had beaten St Thomas’ in Sunday’s opening round Galway championship game in Athenry, Paul Flanagan, the Clare hurler and TG4 analyst, grabbed David Collins for a post-match pitch interview. Collins mentioned the motivation Mellows had after being hammered by Thomas’ in last year’s county final but he also spoke about the importance of getting early points on the board. "It’s madness," said Collins "we have two games in April and then we won’t play again until probably September. So the pressure was on." The madness was further underlined with Thomas’ having played the All-Ireland club final just three weeks ago. The seasons keep segueing into each other but the great anomaly for club hurlers is that championship hurling over the summer effectively no longer exists. One round of the Kilkenny club championship will take place in the middle of the round-robin Leinster championship, mid-week games a couple of days after Kilkenny play Carlow because Kilkenny don’t play between 19 May and 9 June. Kilkenny are the exception but, after those Round 3 games are played at the end of May, there will still probably be 15 weeks before Round 4 is staged in Kilkenny. It’s easy to see why Brian Cody isn’t totally sold on the new round-robin format. For a start, the helter-skelter nature of the championship doesn’t allow Cody to stage as many skin-and-hair-flying internal games. 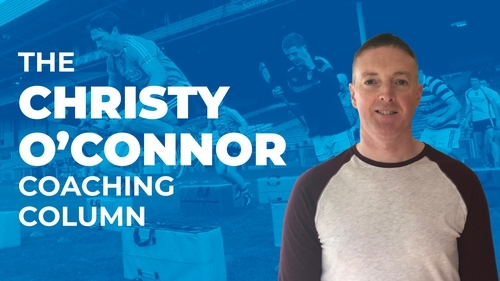 Cody moulded many of his players in that cauldron of Nowlan Park but he no longer has that same licence with the importance of rest and recovery between championship matches. The new format has also taken away Cody’s opportunity to gauge players' form in the club championship. When Kilkenny were in their pomp, Cody would always call the players in to the warm-up area of the dressing-room in Croke Park after a Leinster final and reiterate the importance of performing for their clubs. Cody would go to nearly every club match the following weekend and if players weren’t doing it for their clubs, he saw that as a mental slippage. If a player who had been brilliant in a Leinster final was benched for an All-Ireland semi-final, that decision could have been formed in Cody’s mind as early as a club game three weeks beforehand. The Cats boss can’t make those judgements now due to the lack of club matches during the summer. He has two rounds to watch in April but most inter-county managers dread April because of the fear of players picking up injuries, and of being denied full access to their players so close to the Championship. The club players get April (not in every county) but the corollary is a dead club-championship summer. Last week, the Cork county board tried to address that culture when putting three proposals on the table for a revamped championship. The most controversial of the three was Option C, where clubs would play two championship matches without their county players. "For all the negativity attached to Option C, that proposal still almost doubled the vote of Option B, which proposed a championship start in August." Option C was defeated but securing 23% of the vote was still a silent victory for the radical proposal – because people within Cork are already seeing the bigger picture Option C was trying to paint. Around 25% of delegates also gave it their second preference. In that context, around half of the people in Cork were willing to see Option C as a viable alternative. Option A (one game in April and two more in August) was always going to be carried but that still won’t alter the culture which Option C was ultimately trying to change; because many clubs around the country are effectively dead at a time when they should be most alive. Clubs will never want to play championship matches without their county players, but the trade-off is invariably a lifeless summer for the majority of people - and not just the players - within those clubs. For all the negativity attached to Option C, that proposal still almost doubled the vote of Option B, which proposed a championship start in August. Yet that system is in place in a huge number of counties. Cork are unique with their size and huge volume of players. The Option C proposal would have applied to the first team of 51 hurling and 52 football teams. Compare that to Kerry who have eight senior football teams and 16 intermediate teams? Or Kilkenny who have 12 senior hurling and 12 Intermediate clubs? Cork have another 350 junior teams playing in the divisions but if Option C had been passed, there would have been a knock-on effect around the country. Croke Park certainly would not have been happy either because they are against the idea of clubs playing without their county players. The findings of the Central Fixtures Analysts Committee, a Croke Park body that has worked closely with county boards to try and facilitate more efficient club championships, have shown that many counties put huge store in their leagues. Those competitions provide plenty of meaningful games over the summer months. But that is not the case in Cork, and in a host of other counties. The inactivity during the summer months has been stifling. Some Cork clubs could see the benefits of Option C, especially if the provision excluding inter-county player participation was removed, but that’s not possible with the current inter-county game. Yet having no games in May, June and July can’t be the right option either. Option C would have guaranteed 90 more games than Option A, and 140 more games than Option B. Missing county players for two of those matches could have meant the difference between championship progress or elimination but the threat of the latter was reduced with those games being for half-points for clubs in that position. With county players available for three of the five games - with potentially 12 points on offer - and with four of the six teams emerging, clubs forced to play two games without their county players would have had a solid chance of progressing. Option C was designed not just to improve the welfare of 97% of the playing population, but to drive Cork inter-county teams to another level. And many of the Cork clubs could see those wider benefits; Sarsfields, who have five county players, backed Option C because they felt a duty to provide games throughout the year for their five adult teams. A host of dual clubs also supported the proposal because it would have meant ten championship matches. Some of those dual clubs only got four championship matches last year. There was always bound to be a strong counter-argument to clubs playing without their county players, and the dangers of setting such a precedent. What’s the point of a club developing a player and then not having him available for some of their biggest days in the season? Was this the first step towards semi-professionalism? "Something like Option C may not be allowed on a ballot paper in the future." The counter-argument again is that Option C was the first step in saving the club player by ensuring club championship matches throughout the summer. Unless the GAA is prepared to row back the increasing tide around the inter-county game (and it definitely will not) what else are club players expected to do over the summer months? Solving the mess all over the country will take some clever strategic planning. Even if Option C had been passed in Cork last week, the county board would have struggled to implement it, especially in trying to knit all the strands together to make the system fully functional. The radical thinking generated passionate debate on the state of the county championships but the flipside to any controversial proposal in the GAA is that it often leads to a preventative reaction. Something like Option C may not be allowed on a ballot paper in the future. A motion could yet come before GAA Congress to negate Cork from exploring this route again, so as to ensure clubs would never be asked to play a championship match without their county players. Yet would that be wholly beneficial to the club player? Do all clubs and counties not have a right to explore all routes to try and ensure their players get championship games throughout the summer months? Cork didn’t vote for change last week but the numbers still showed that there is a significant appetite for change. And that hunger may be far greater again when clubs, in Cork and elsewhere, experience the madness of one or two more dead and lifeless summers.